An exhibit by Quilts of Valor – a nonprofit group that organizes the making and presentation of quilts to military veterans and others – will showcase a set of World War I-era quilts during the 100th American Legion National Convention this August in Minneapolis. The American Legion has conducted quilt-making events with the group at Spring Meetings in Indianapolis for the past few years. This presentation coincides with the emphasis The American Legion is putting on bringing history to life for its centennial convention. According to Quilts of Valor president Sue Reich, "The 'Eleventh Hour of the Eleventh Day of the Eleventh Month' officially ended World War I on Nov. 11, 1918. During the previous 18 months, over 4.7 million men and women served in the war. 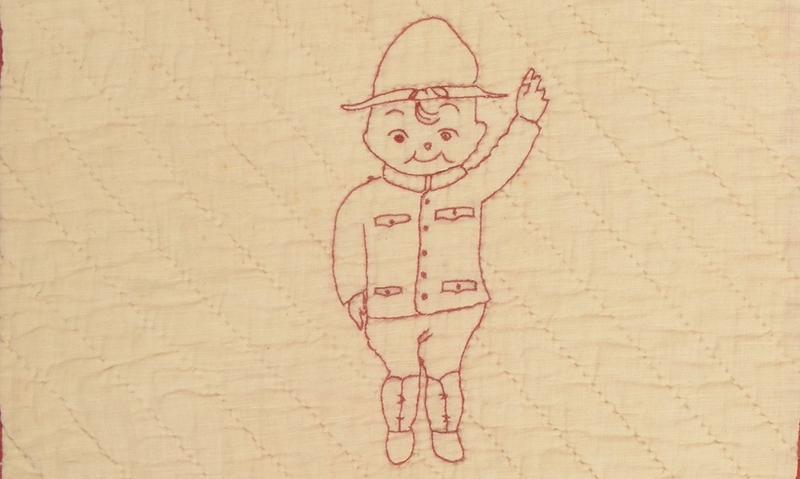 America’s women also served on the homefront, especially through their quiltmaking. After President Woodrow Wilson’s call went out in November 1917 to raise money for the Red Cross, one of the greatest benevolent fundraising efforts began. Nationwide, women used their quiltmaking skills to raise monies to benefit our soldiers and for the Red Cross. "This quilt exhibit tells a story of quiltmaking between April 6, 1917, and Nov. 11, 1918. Here you will find quilts made to honor those who served, to express patriotism in our country in a time of war, and to honor the veterans of post-World War l with a floral profusion of poppy quilts." Reich owns and has curated the exhibit. It will be displayed in the exhibit hall, which will be located in Hall C, Level 1 of the Minneapolis Convention Center. Reich will have a booth, at which those interested can purchase the book “World War I Quilts” and find out about bringing the exhibit to their area.